This Pretty Pretty Amethyst Pendant has a Outline of Silver Work and in its center hangs a Stunning 10mm x 14mm Teardrop Cabochon in a simple setting, which moves independently from itâ€™s surround. It is just under 3 1/2 cm incl bale. BEST SELLER! 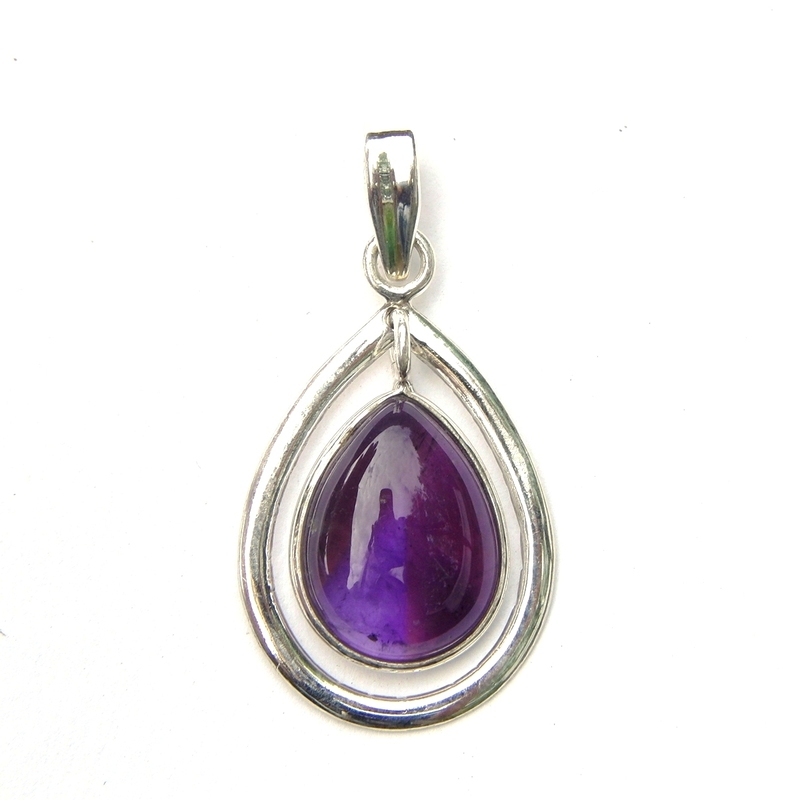 Nice silver hand made Pretty Amethyst Pendant. This Pretty Amethyst Pendant has a Outline of Silver Work and in its center hangs a Lovely 10mm x 14mm Teardrop Cabochon in a simple setting, which moves independently from its surround. It is approx 3 1/2 cm incl bale. BEST SELLER! This website is strictly for approved Wholesale customers only, if you are looking to buy this Pretty Amethyst Pendant from a retail store, please visit Shooting Star.